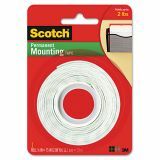 Scotch Foam Mounting Double-Sided Tape, 1/2" Wide x 75" Long - Scotch Mounting Tape is faster, safer, and more versatile than screws and nails.  Double-sided, heavy-duty foam tape is designed for mounting light to medium-weight objects to virtually any smooth wall or surface. Not recommended for brick, concrete, or exterior use. 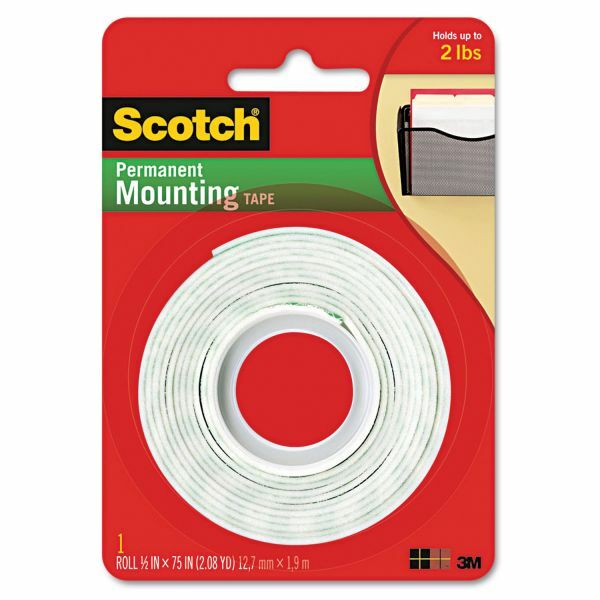 General-purpose foam tape holds up to 2 lb.